HOUSTON/NEW YORK (Reuters) - The Rockefeller Family Fund said on Wednesday it will divest from fossil fuels as quickly as possible and "eliminate holdings" of Exxon Mobil Corp <XOM.N>, saying the oil company associated with the family fortune has misled the public about climate change risks. Though only a sliver of the endowment's modest $130 million in assets is invested in fossil fuels, the move is notable because a century ago John D. Rockefeller Sr. made a fortune running Standard Oil, a precursor to Exxon Mobil. The charity said it will also divest from coal and Canadian oil sands. Asked about the Rockefeller announcement, Exxon said in a statement: "It's not surprising that they're divesting from the company." "The Rockefeller Family Fund provided financial support to InsideClimate News and Columbia University Journalism School which produced inaccurate and deliberately misleading stories about ExxonMobil’s history of climate research," Exxon added. A Rockefeller Family Fund representative was not immediately available to respond. 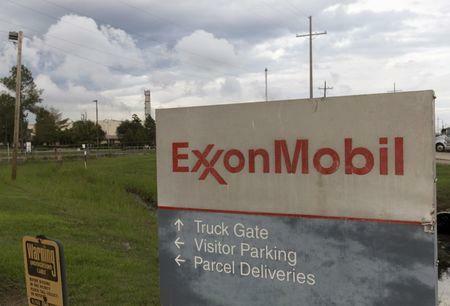 On Wednesday, Exxon said those stories "wrongly suggested that we had reached definitive conclusions about the risks of climate change decades before the world’s experts and while climate science was in an early stage of development." As early as 2008, members of the Rockefeller family called on Exxon to make governance changes and increase spending on alternative fuels. In late 2014, another fund associated with the family, the Rockefeller Brothers Fund (RBF), and several other philanthropies said they would divest from fossil fuels.